Gaudy EA is a tick-based scalper. 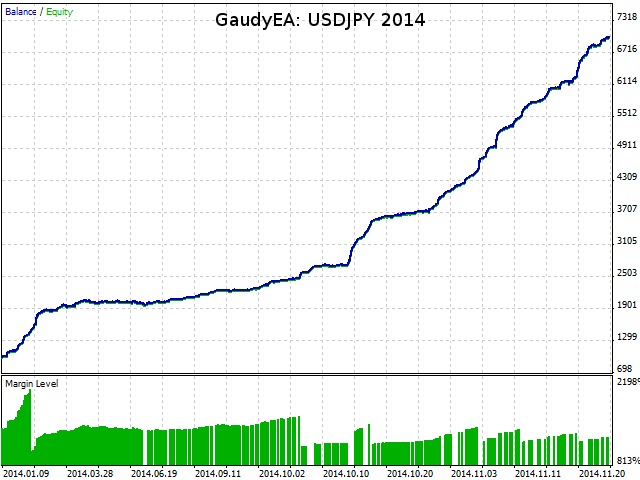 Gaudy is an Expert Advisor that is based entirely on tick data to scalp short-term trends very aggressively. If a promising trend is recognized by Gaudy's algorithm, positions are opened and closed within seconds to turn the patterns not visible in candlestick charts into profit. 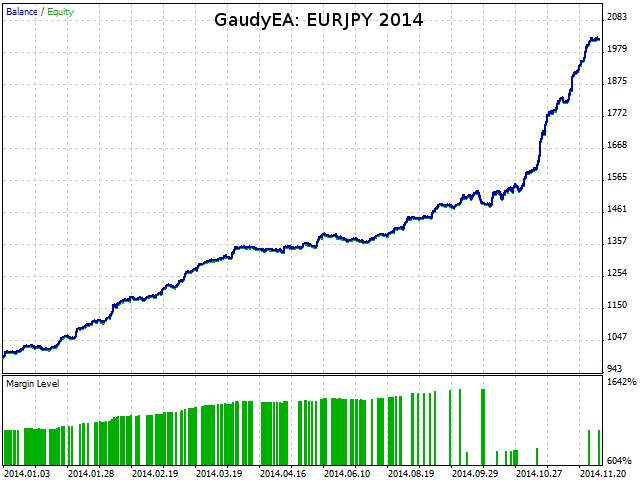 Also trades USDJPY, EURJPY and other Forex pairs well. Average profit factor is above 2.0 on all simulated data. 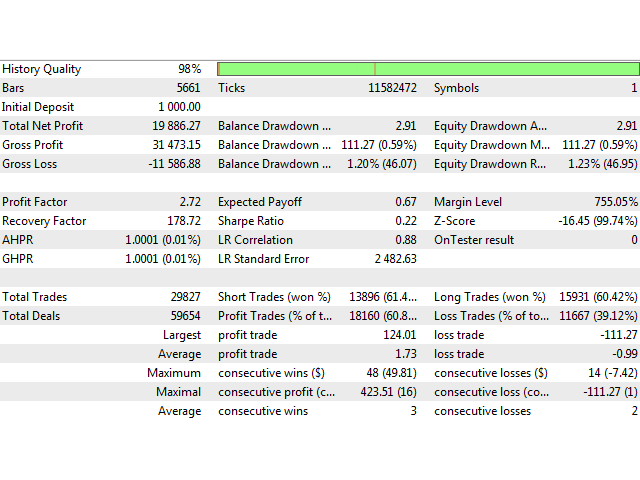 Maximum balance drawdown is below 5% on all simulated data. More than 12 000 trades per year for each currency pair. 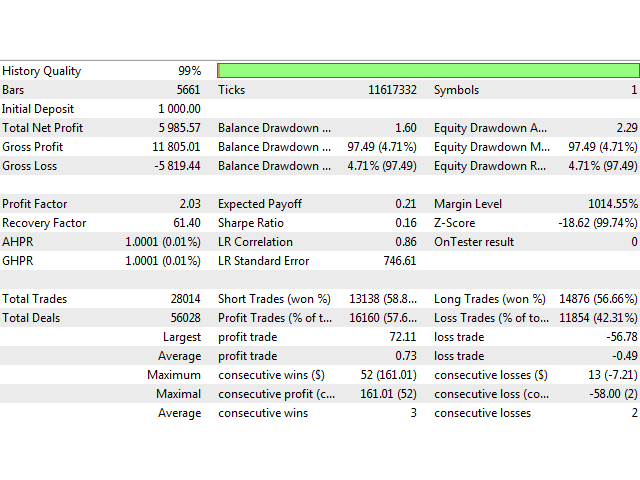 Six input parameters (Risk, Volume, SL, Spread, Slippage, Threshold). Independent from the timeseries (M15, H1 and H4 are fine). The extreme high number of Gaudy's trades lasting no more than a few seconds each can yield a constant growth with minimized risks. Each trade is capped by user defined risk and volume parameters, while on average the number of profitable trades is slightly higher than the number of loss-making ones. This EA must be tested with "Every tick" execution mode to work as expected. 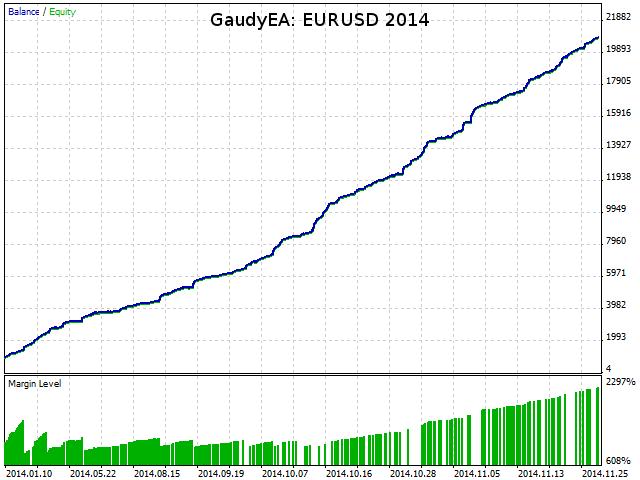 The scalping strategy works best with low-spread and liquid pairs like EURUSD. Default configurations of input parameters are conservative but can be optimized. When using high frequency scalpers on live accounts, many factors can ruin your payoff, including variable spreads, slippage, tick density, ping and latency of your Internet connection, reaction time of your broker, and more. Langsam aber sicher führt die Kaution zusammen. Mueller, was du dieses Programm geschrieben? Ergebnisse Tester rühmen? Oder noch etwas ureigenes Interesse? 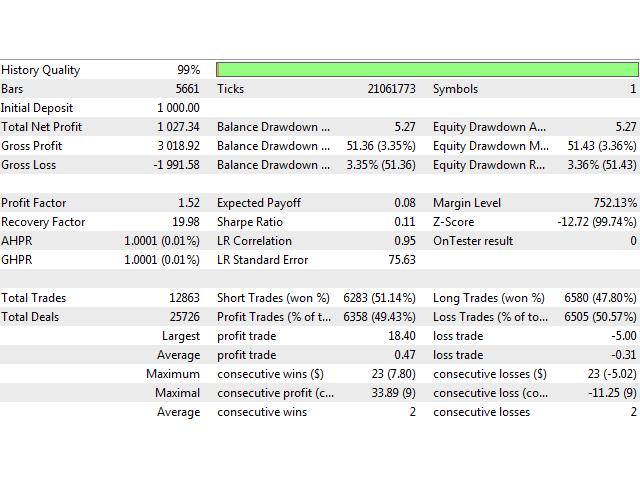 Very good test on a real FXPRO account, with 100% accuracy.